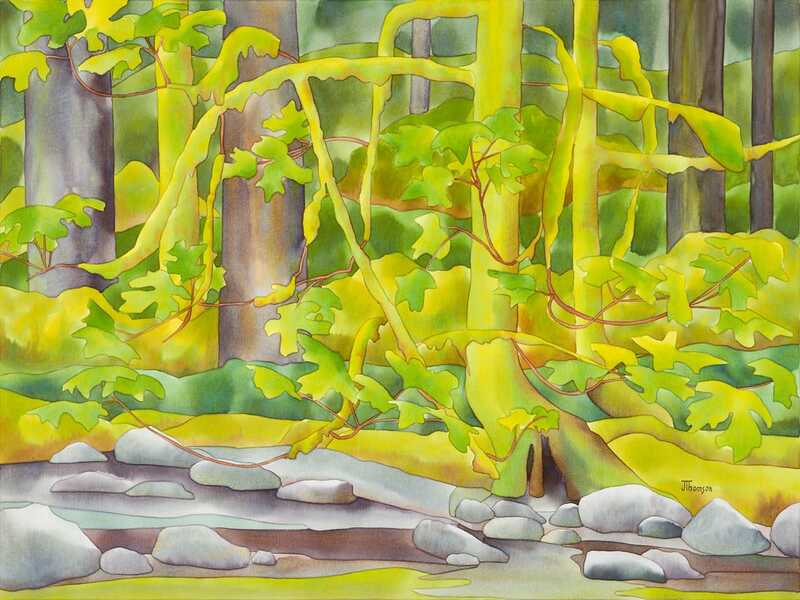 SOLD Fir Transforming- w/c on canvas 30 X 40"
Above Goldstream River. 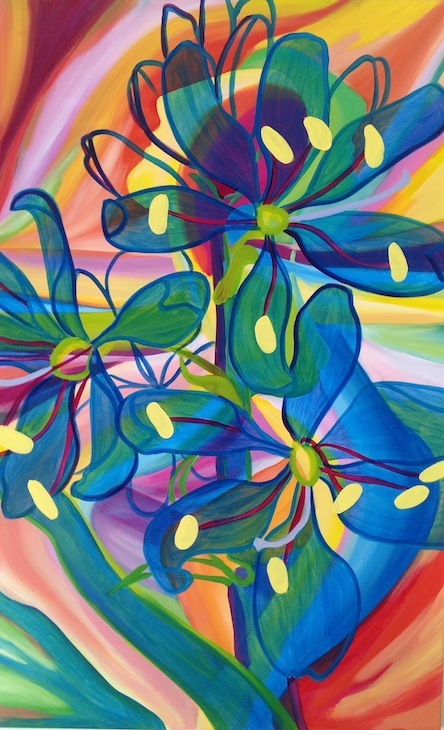 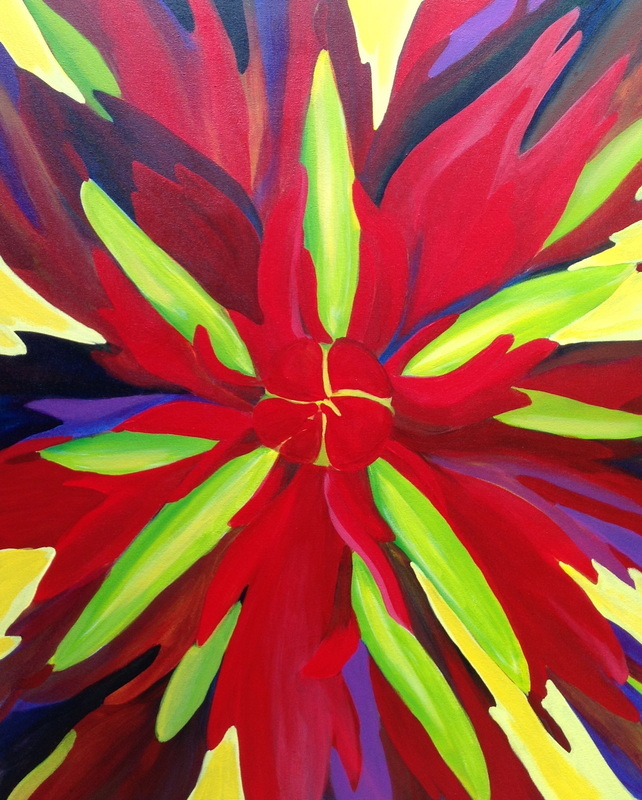 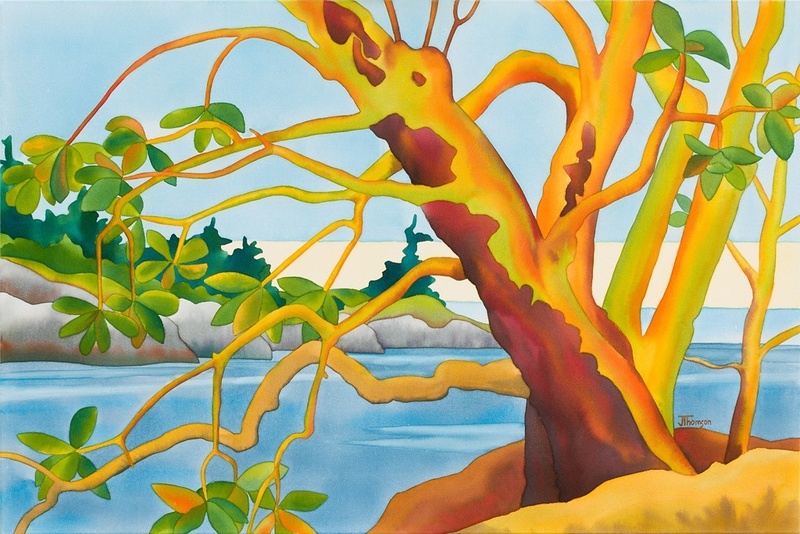 w/c on canvas SOLD at South Shore Gallery in Sooke. 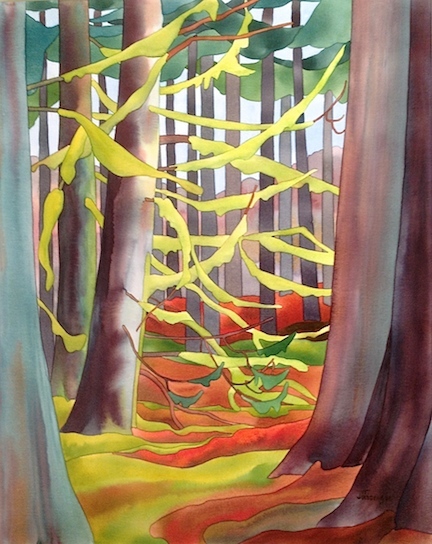 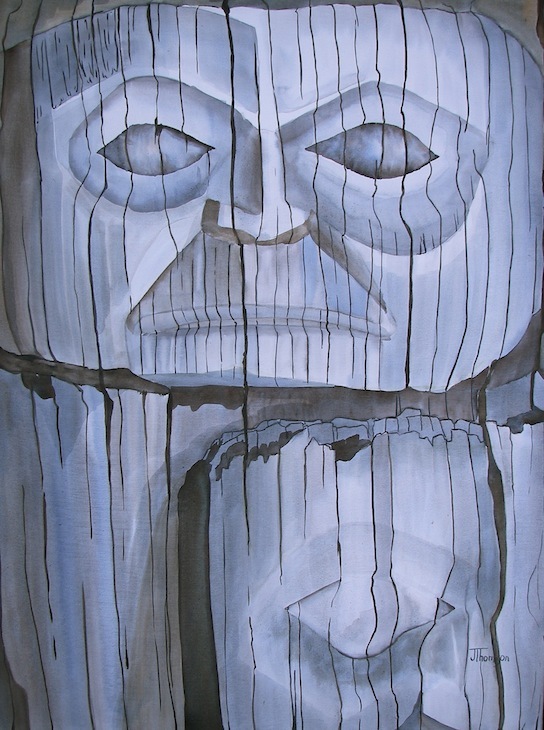 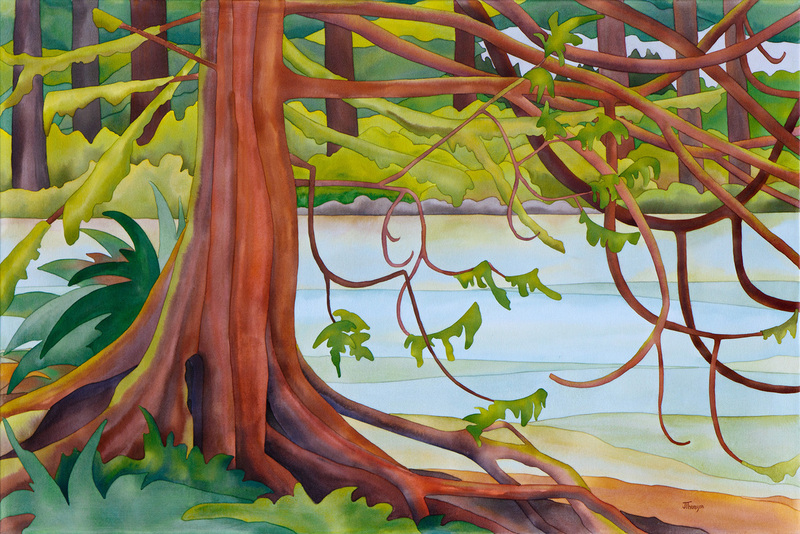 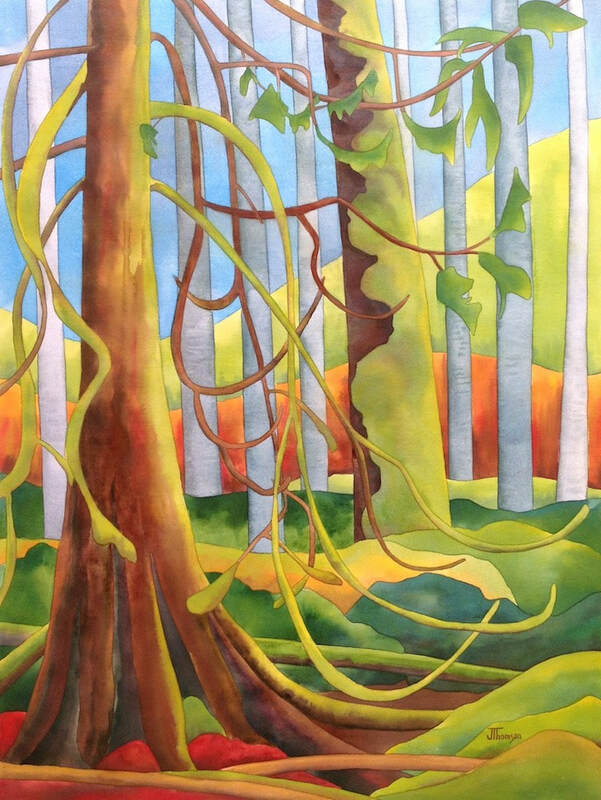 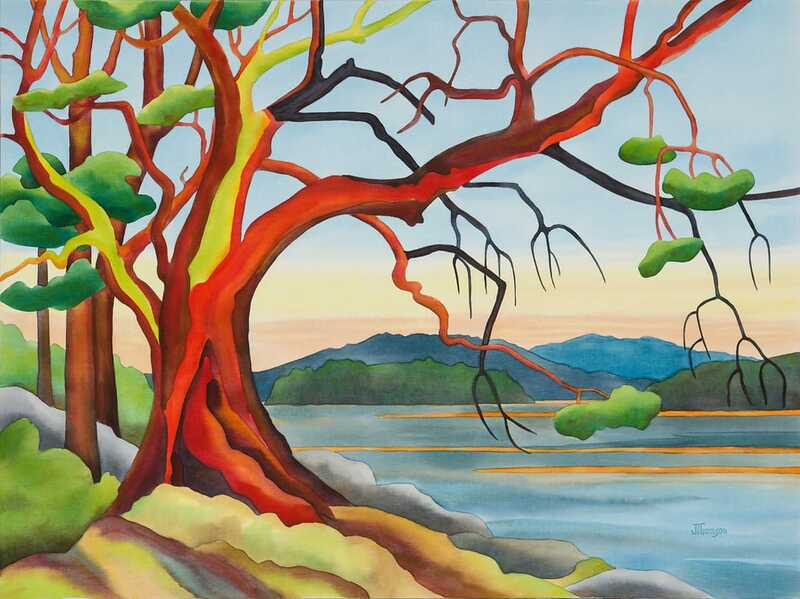 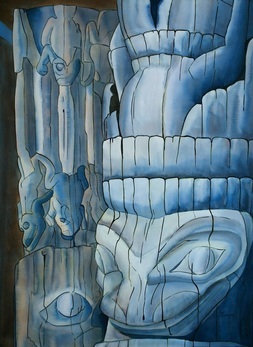 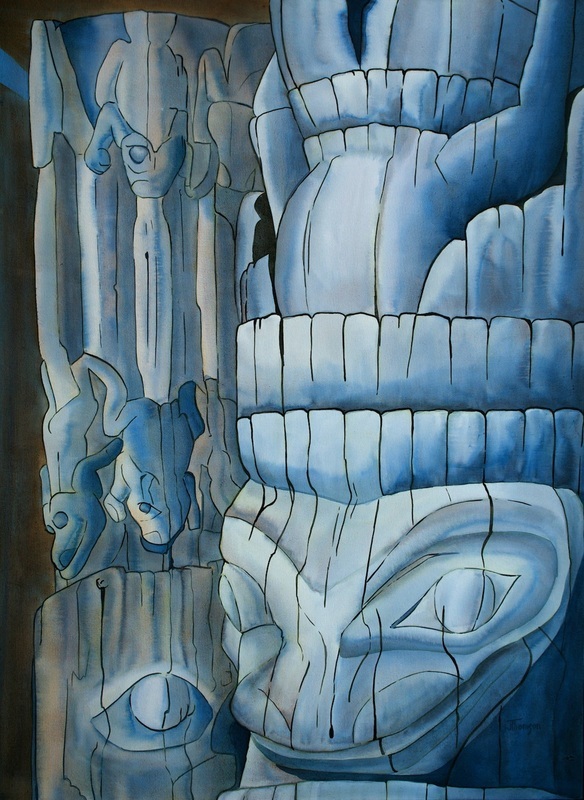 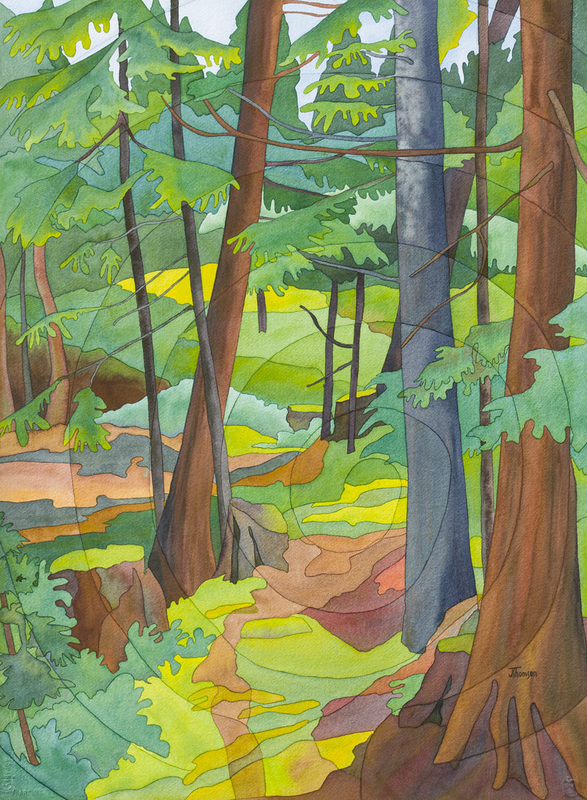 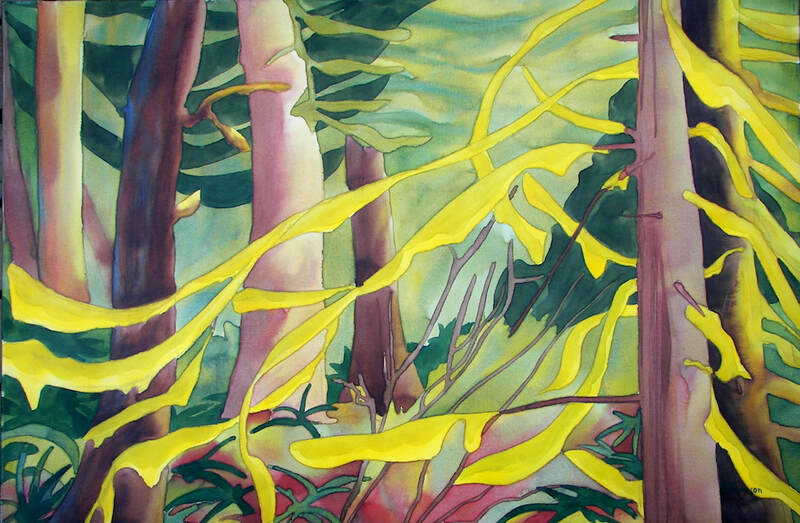 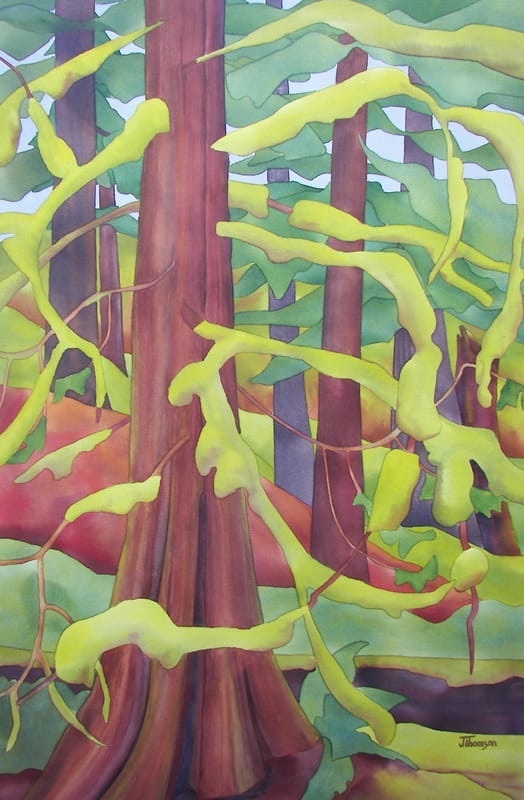 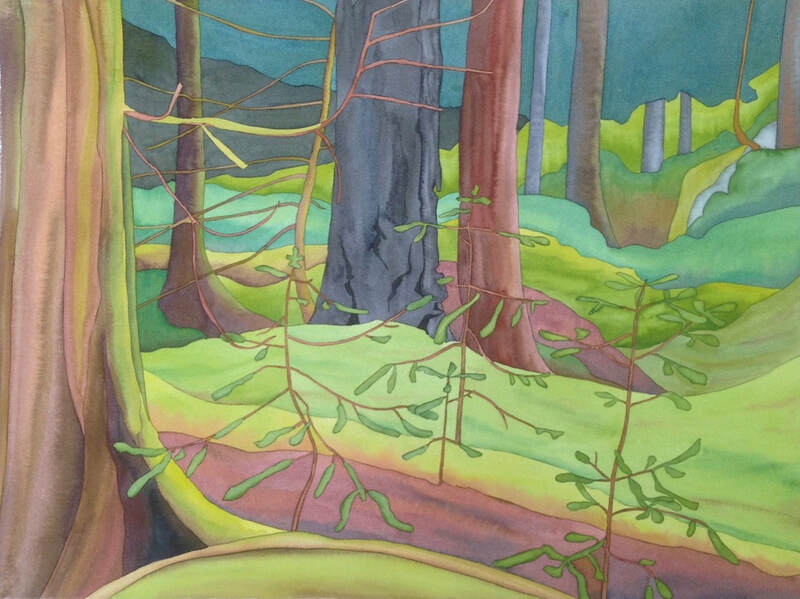 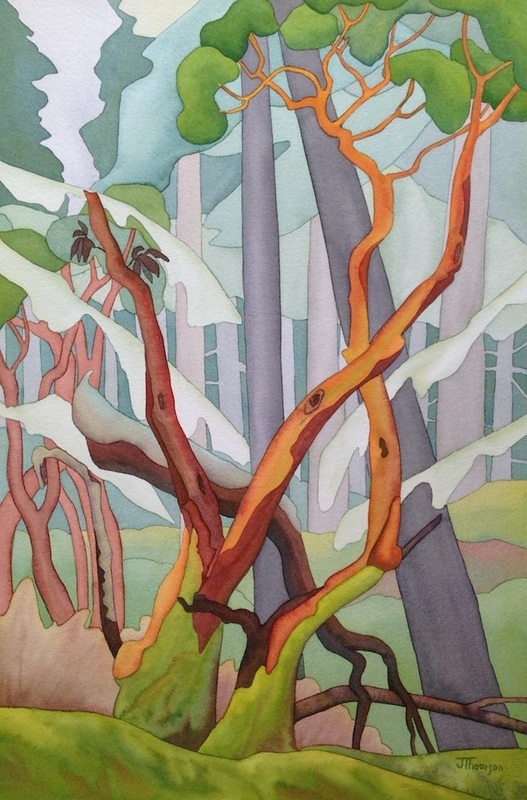 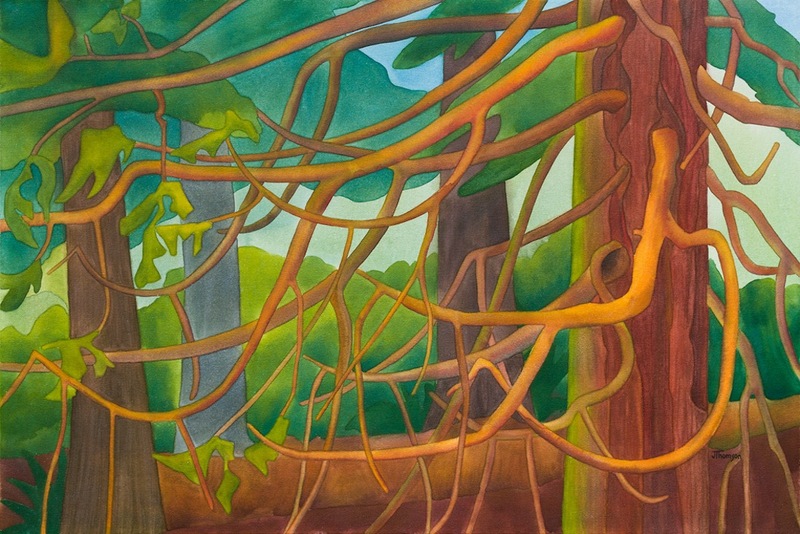 Goldstream Cedar 40 X 30" watercolour on canvas $2400.00 Rented to Equilibrium Therapeutics on Tillicum. 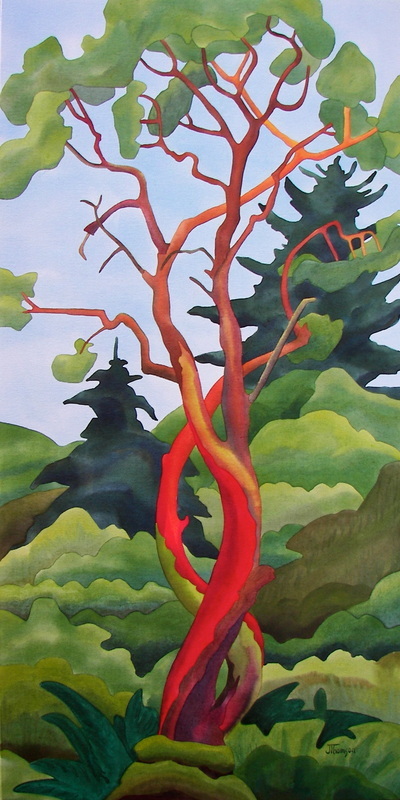 Misty Day Arbutus at Francis King. 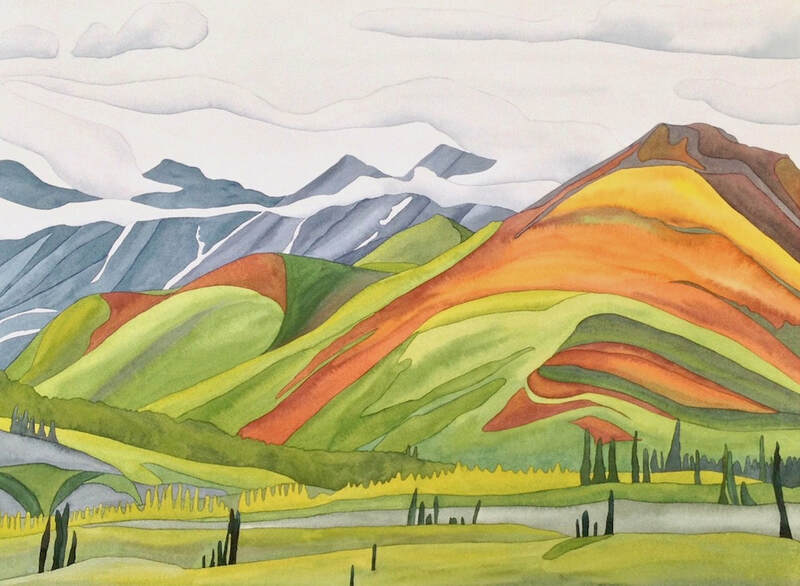 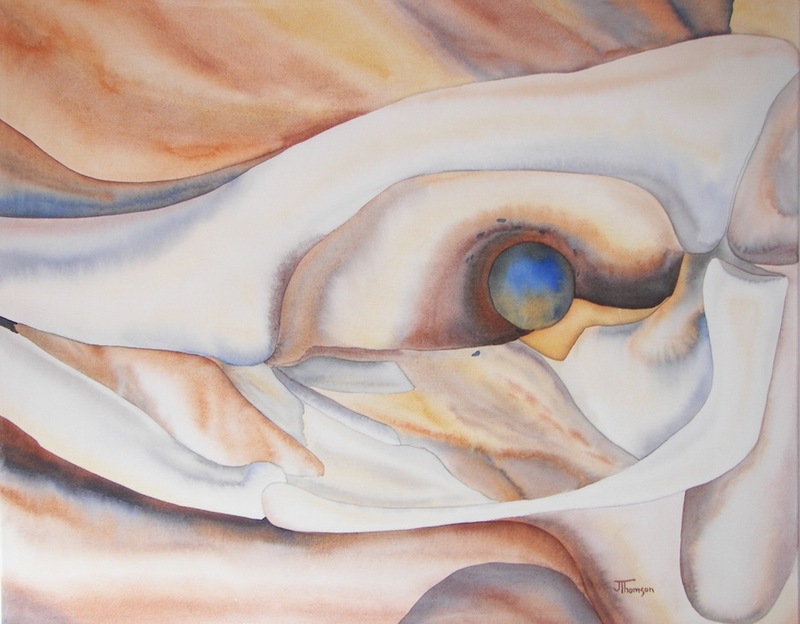 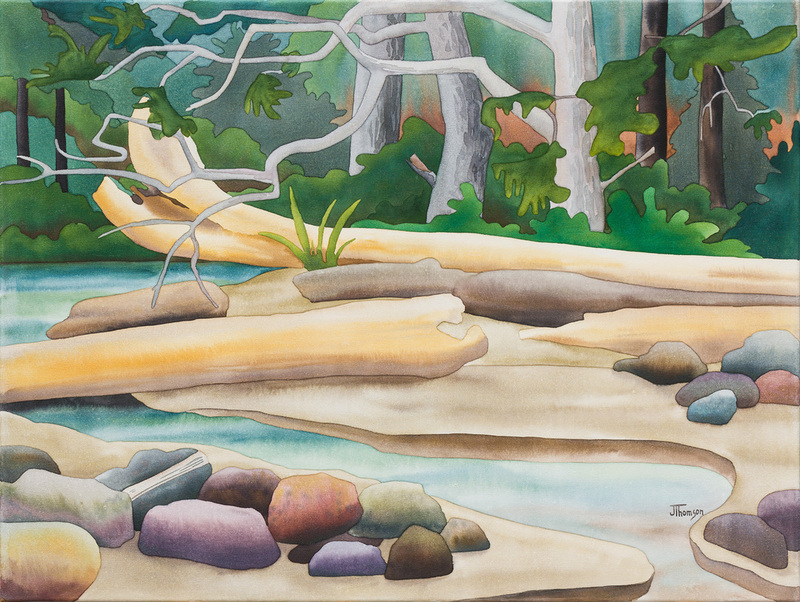 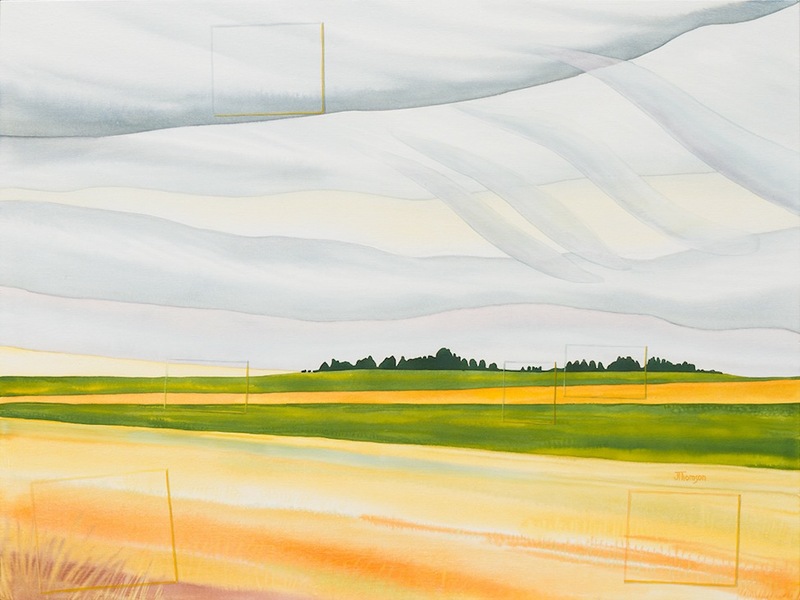 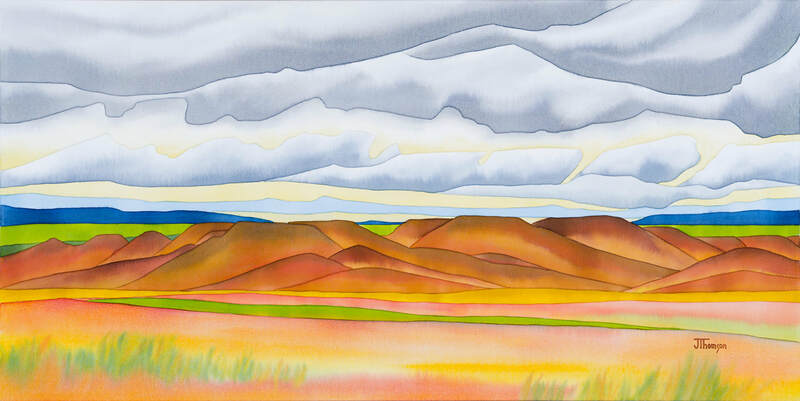 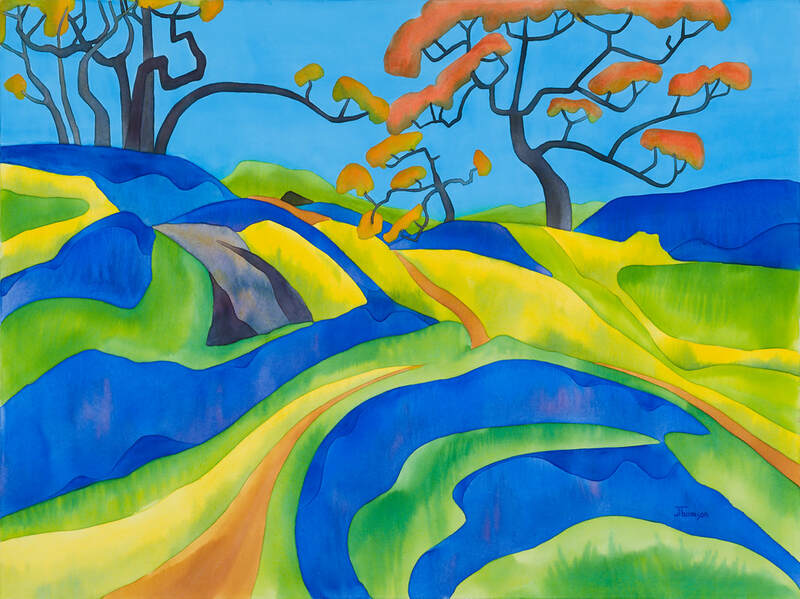 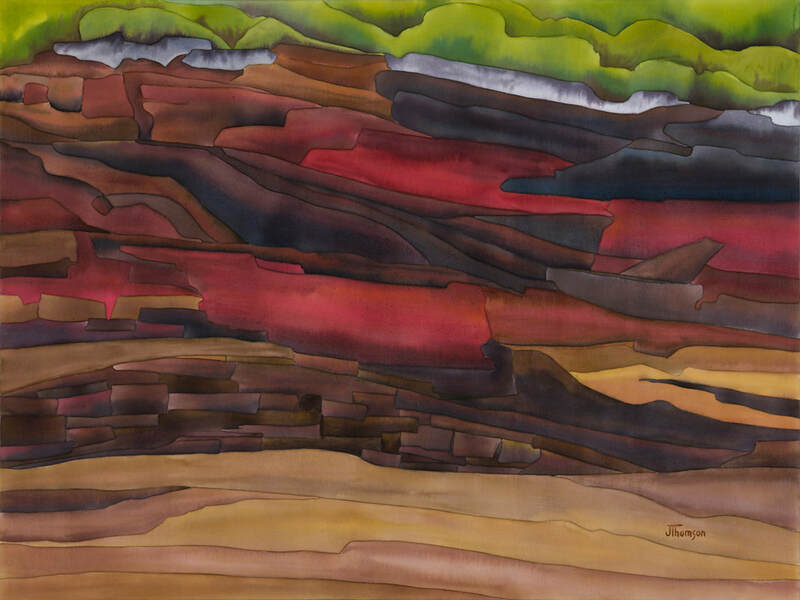 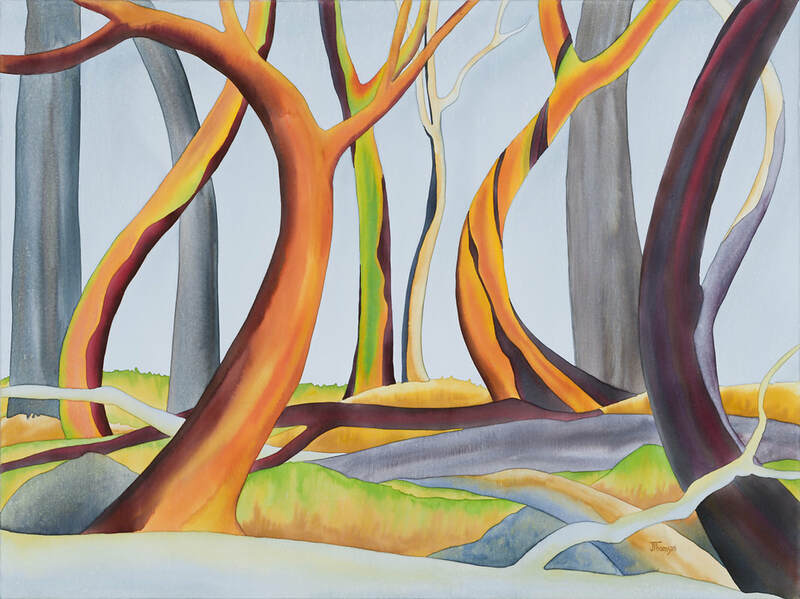 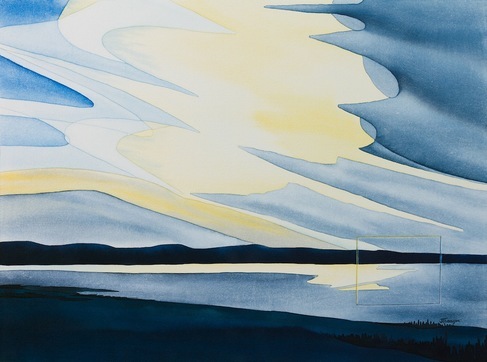 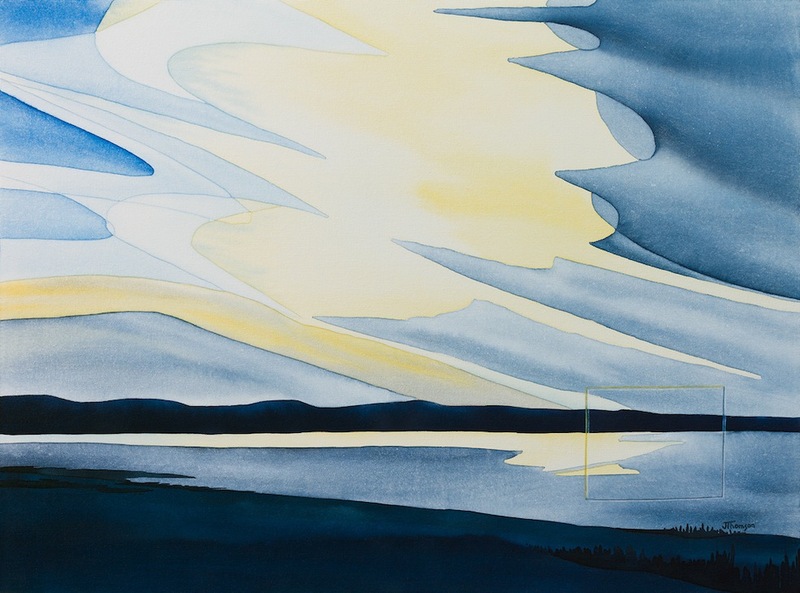 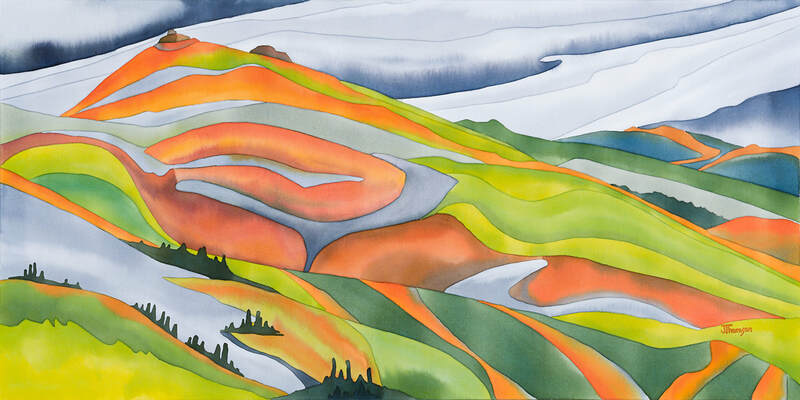 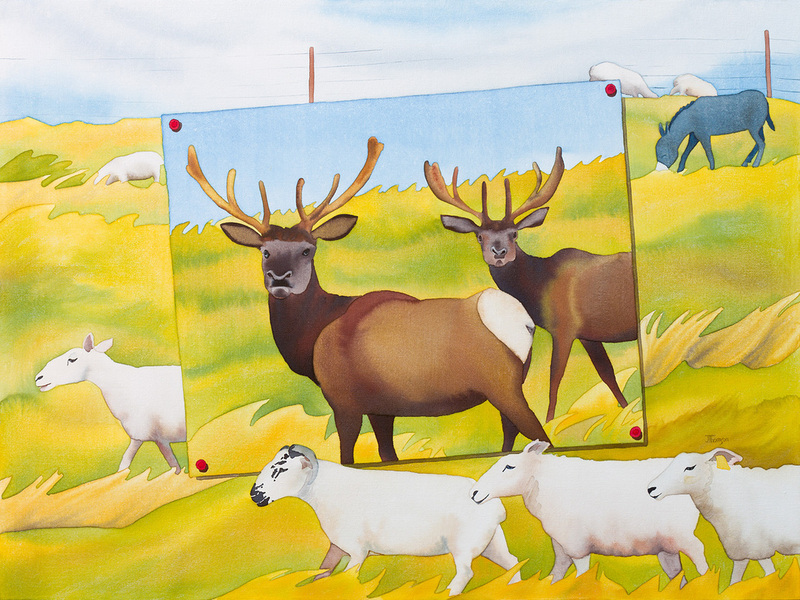 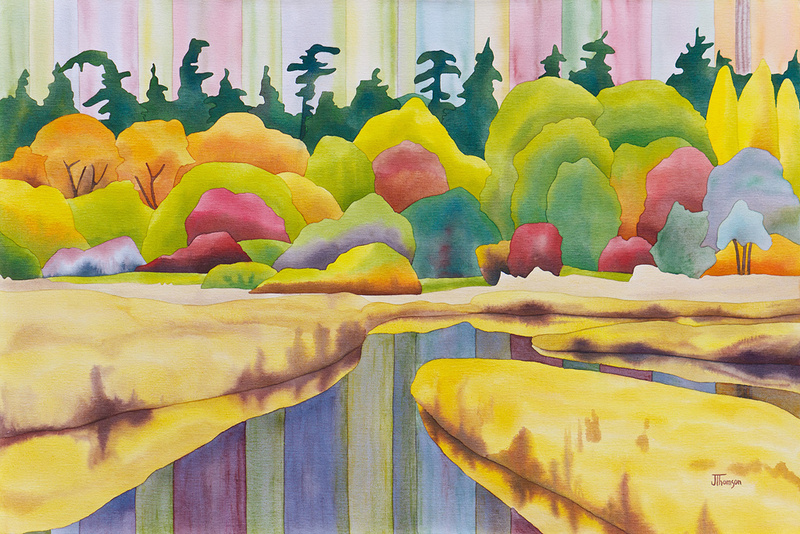 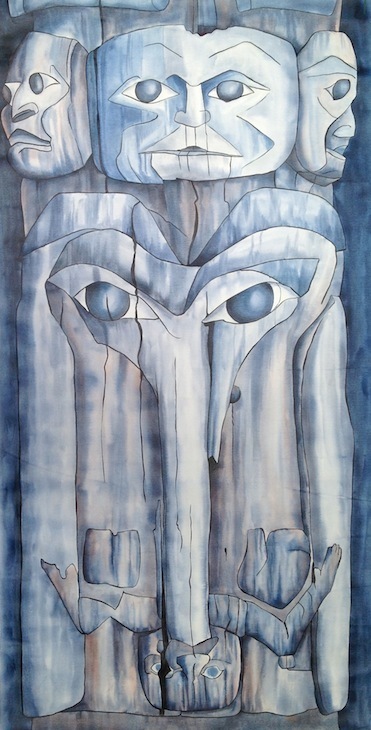 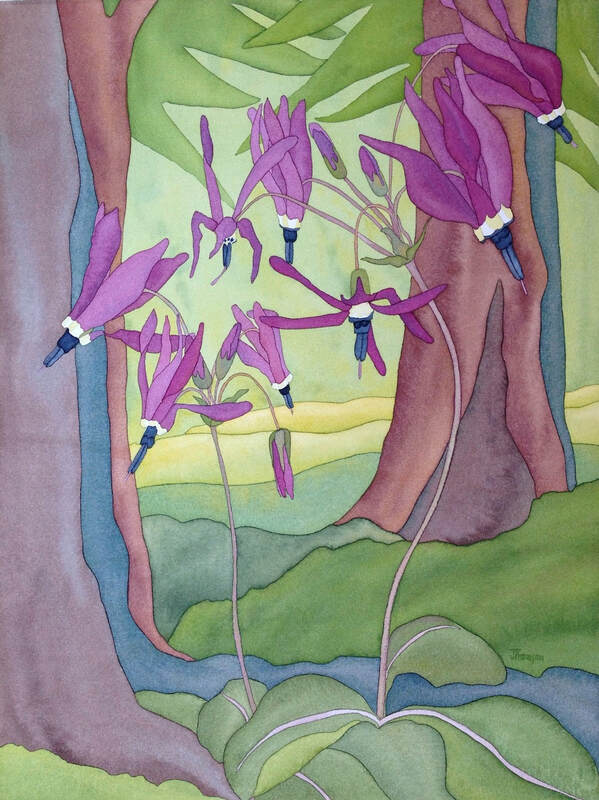 Watercolour on paper 14 X 22"
Ivvavik National Park w/c on canvas 24 X 48"
Who's Prairie? 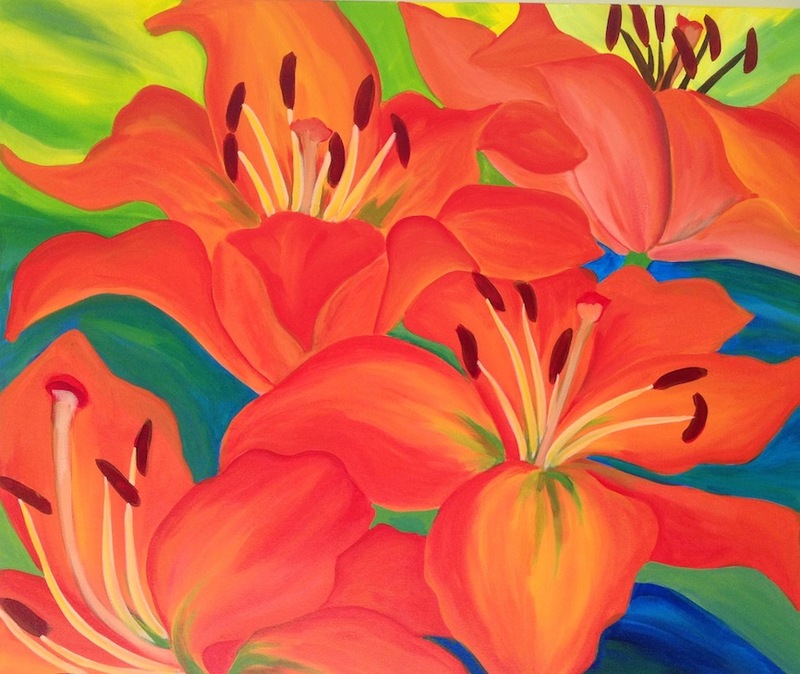 (Southern Saskatchewan) watercolour on canvas 30 x 40"
Hilltop Homestead, Alberta watercolour on canvas 30 x 40"
Radiant Paintbrush - Acrylic on Canvas 24 x 30"
Paintbrush - Acrylic on Canvas 24 x 48"
Tiger Lilies- Acrylic on Canvas- 30 x 40"
Camas Dance- Acrylic on Canvas 32 x 40"
Flying Frog Pole- Gitanyow- Acrylic on Canvas 30 X 40"
Mosquito Warrior- Wii Andaxis Warrior Pole inside the Gitanyow Museum- Acrylic on Canvas - 40 X 70"
Down the Spinal Column - of a Blue Whale- Acrylic on Canvas 30" x 60"
Cedar at Muir Creek SOLD 36 X 48" watercolour on canvas. 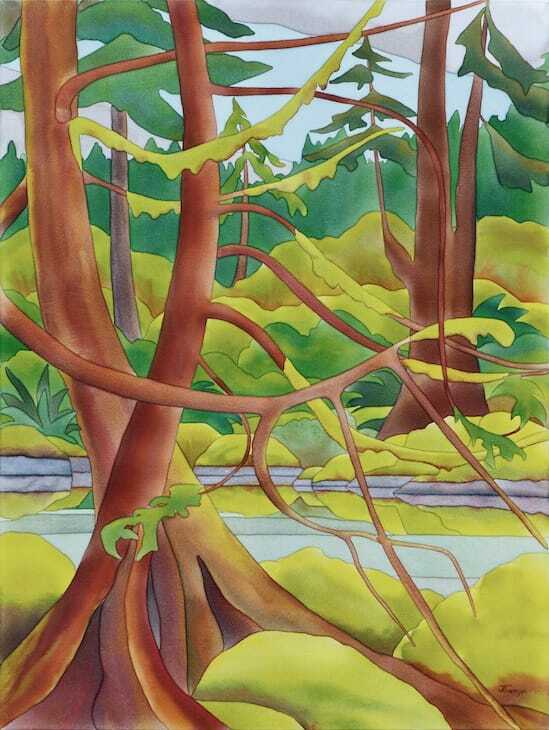 Quicks Bottom Bird Sanctuary SOLD. 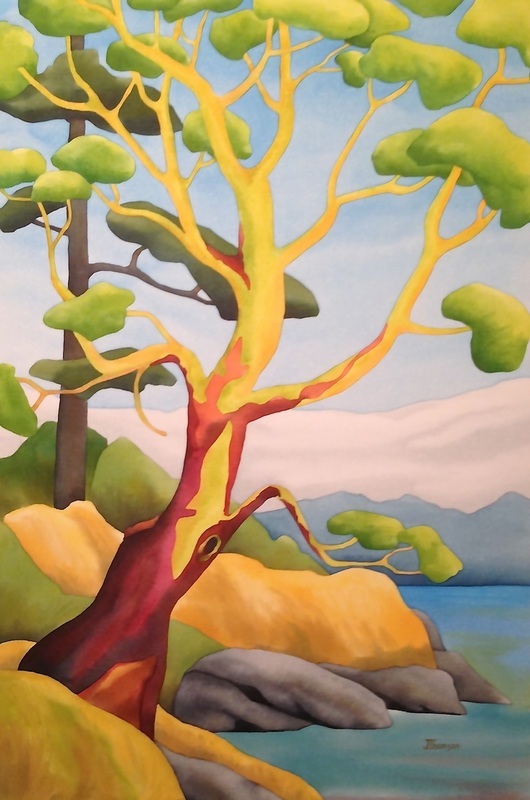 30 X 40" watercolour on canvas.